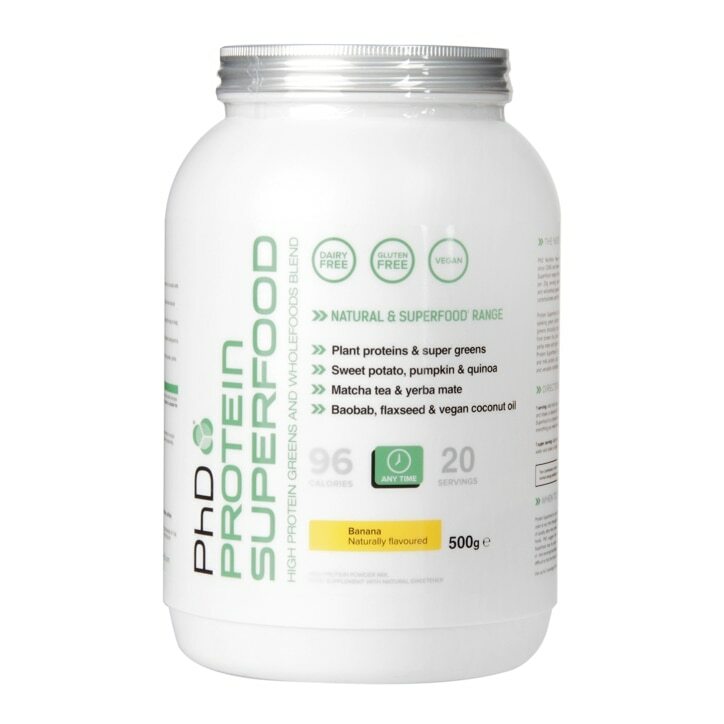 PhD Protein Superfood Banana is rated 4.2 out of 5 by 18. Rated 2 out of 5 by Gexem from I wouldn’t purchase again Very powdery and not my favourite flavour. Tastes like the banana sweets. I don’t like the size of the spoon, it’s bigger than the rim and awkward when trying to mesure half the cup which is one serving. Why not just creat a smaller cup equaling to a serving then one can just use two spoonfuls for a larger portion. I prefer some of the other vegan powders. Rated 4 out of 5 by Haybc123 from Super sweet Well this is ok but mega sweet. Not sure why they had to make it so sweet, probably to mask all the superfood powder tastes but it’s not pleasant (although saying that, I think I’d rather sweet than brocolli, spirulina etc all mixed together!) Also it’s very gritty which doesn’t bother me too much but it may bother you. Nice banana taste though. Rated 5 out of 5 by Rajanicle from Good vegan shake This is a good vegan shake. Tasty and affordable - it’s as good as the Berry flavour but this has less bits in it.